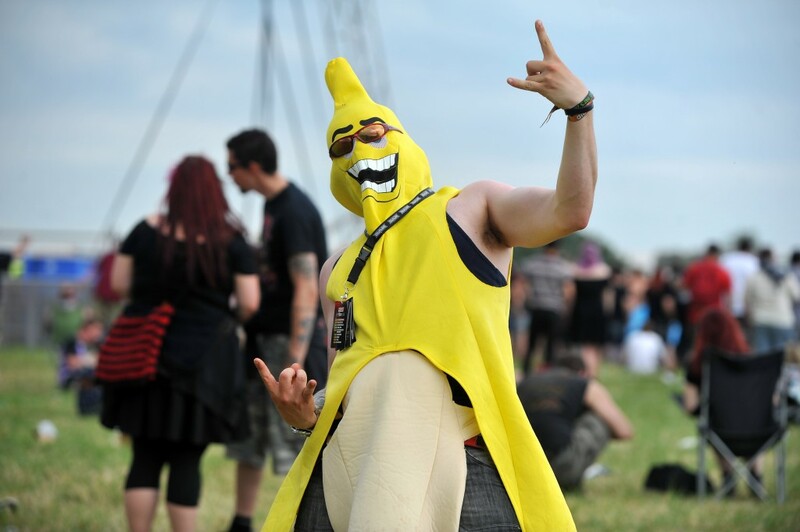 With the annual French/Belgian battlefield experience rapidly approaching and Download rock festival soon after, my thoughts are currently turning towards Donington, which combines military on one hand and music on the Devil-horned other. The month of May means that me, Chris, Richard and Ben get on the Eurostar and follow in the footsteps of our brethren. June means Download festival. First timer advice: most people don’t dress as bananas. But, y’know, if it works for you. Some people collect stamps. 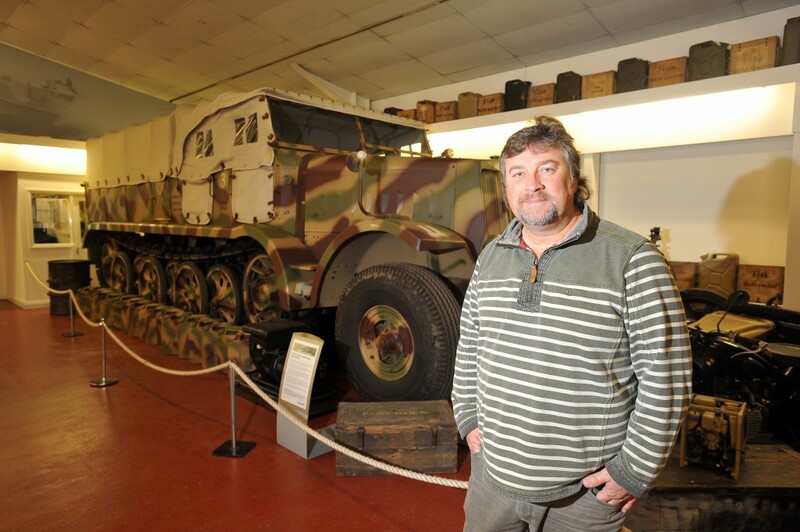 Kevin Wheatcroft collects WW2 transport. 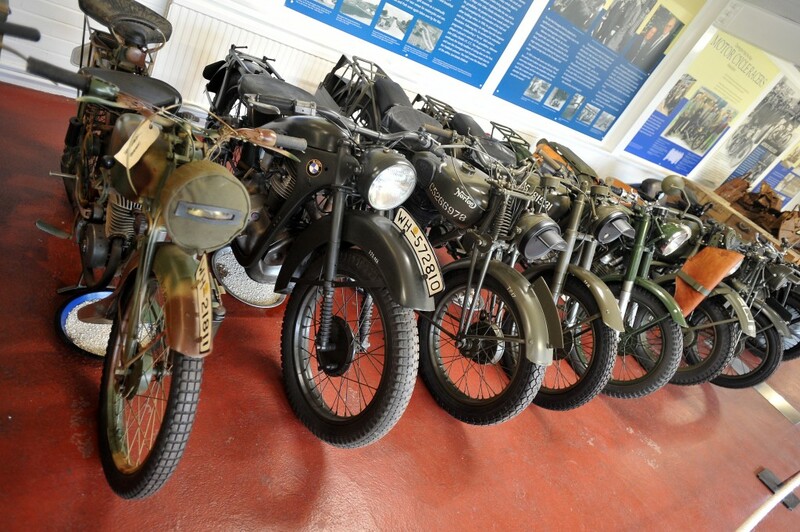 Kevin, the owner of Donington Park Motor Racing Circuit, has a room stuffed full of WW2 at the world famous track in north west Leicestershire. Owner of the planet’s largest private WW2 collection, Kevin’s addiction began when he was 14, with £100 birthday money from his granny. Kevin, a precocious child, bought a Willys Jeep he’d seen advertised in a newspaper. Fast forward 38 years and Kevin has Jeeps, half-tracks, tanks, amphibious cars, experimental Harley Davidsons and more tucked away in a county exhibition hall. You’ll find everything you wished your Action Man had but on a much, much larger scale. Donington Park needs little in the way of introduction – its Tarmac is sacred to any self-respecting petrol-head, its soil is spiritual to any self-respecting rock fan. It’s a special place full of history. And today, like most days, its exhibition space is full of people leaning against cars and taking pictures. Despite its international reputation, few outside motorsport circles know of the racing track’s museum. It houses the Donington Grand Prix Collection – the planet’s biggest stash of grand prix cars. 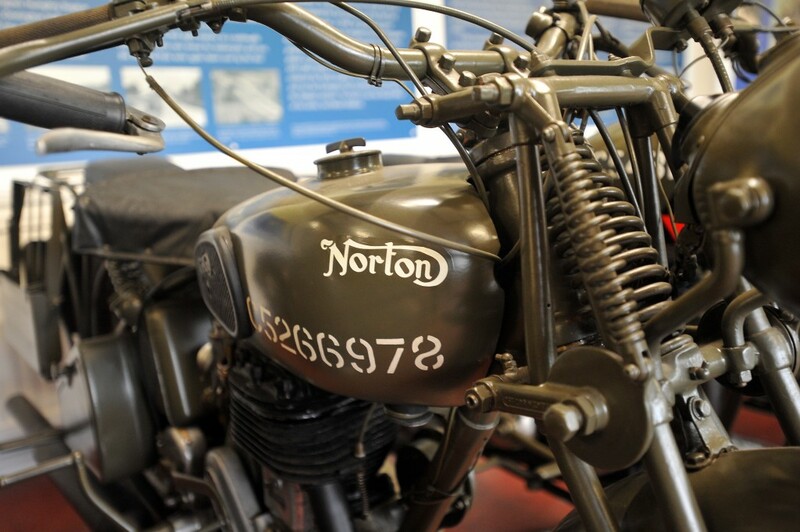 The exhibit next door is The Wheatcroft Collection – Kevin’s habit/hobby/addiction. On a cloudy Friday morning after a swift cup of tea, Kevin is giving a guided tour. There have been costings, says Kevin. Head scratching. Frowning. And the figure £4 million has cropped up. That’s what’s needed to expand the premises, and see the footfall increase from the current 25,000 to 30,000 visitors a year. Not that it’s ever really quiet at Donington. Next month, the track makes room for the Download festival and rock music’s General Synod, attracting 120,000 international rock fans. But back to the present and, strangely enough, into the past. 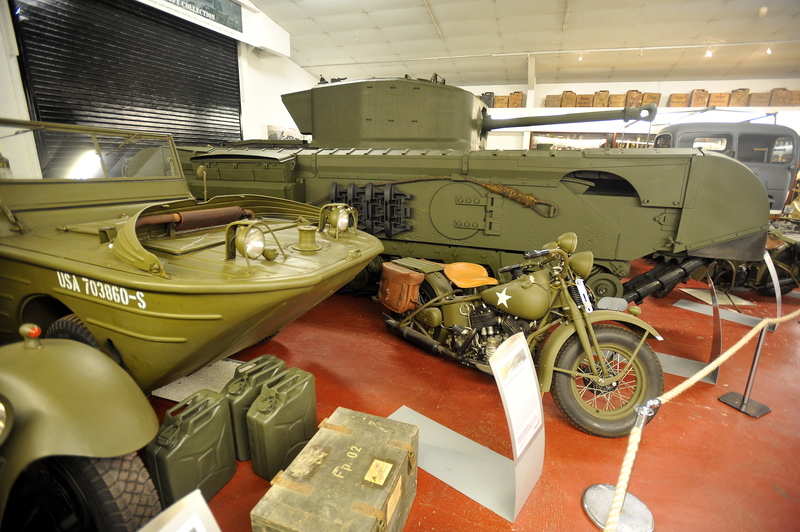 The first exhibit you come to is the Famo, a half-tracked personnel carrier. To give you an idea of its size, the Germans used it to tow broken-down tanks from the thick of the fighting. 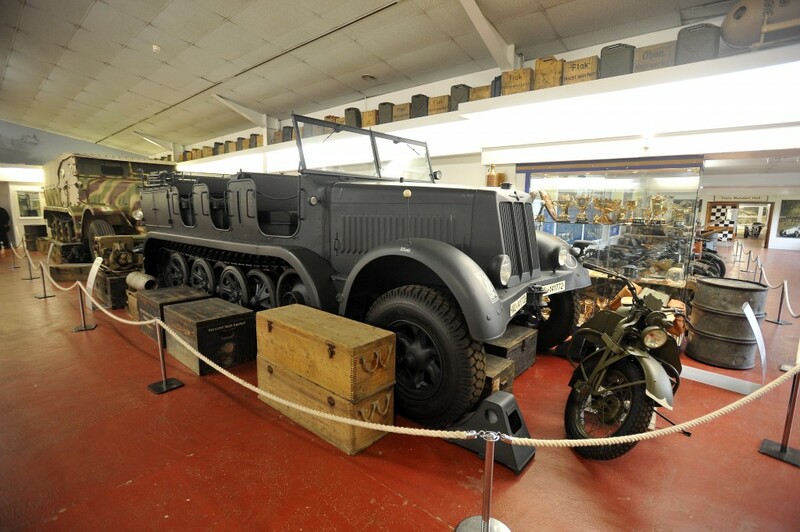 The Famo, an SS vehicle, was found in Southampton. It was captured just after D-Day and brought back to England for evaluation purposes. 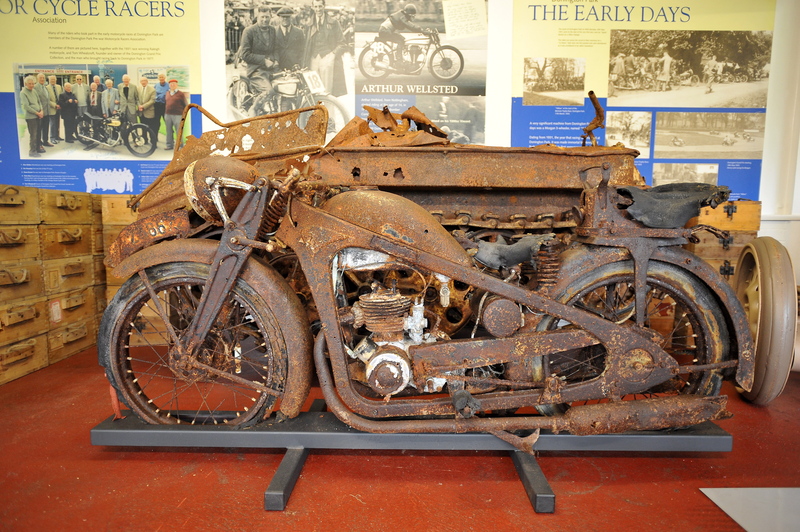 It was then sold off to a scrap man who bought it to crush cars, but it went unused. At 18 tonnes its top speed is 40mph. 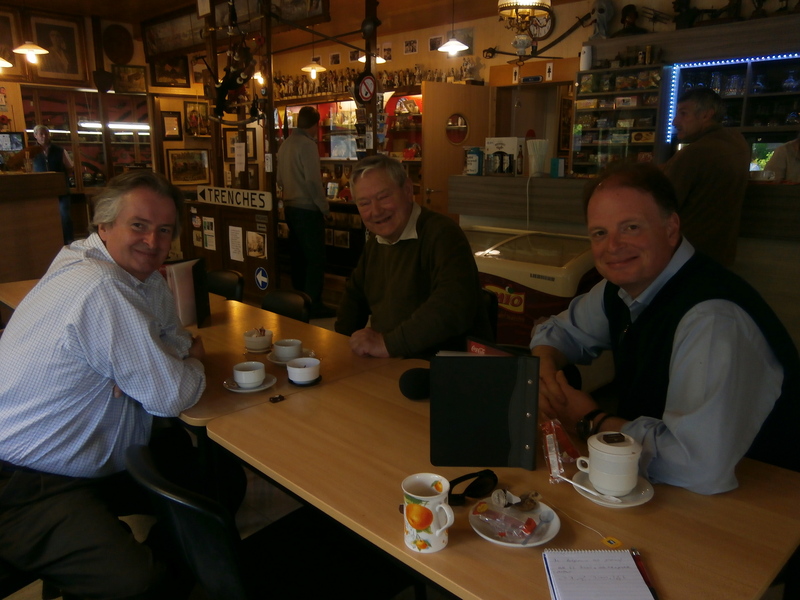 Kevin and his comrades have driven it across Europe, to memorials and reunions. It’s elicited more than a few cries of “Liberty!” while trundling past pockets of soused French pensioners. The gem of the collection is currently sitting on bricks in a Cornish boatyard. 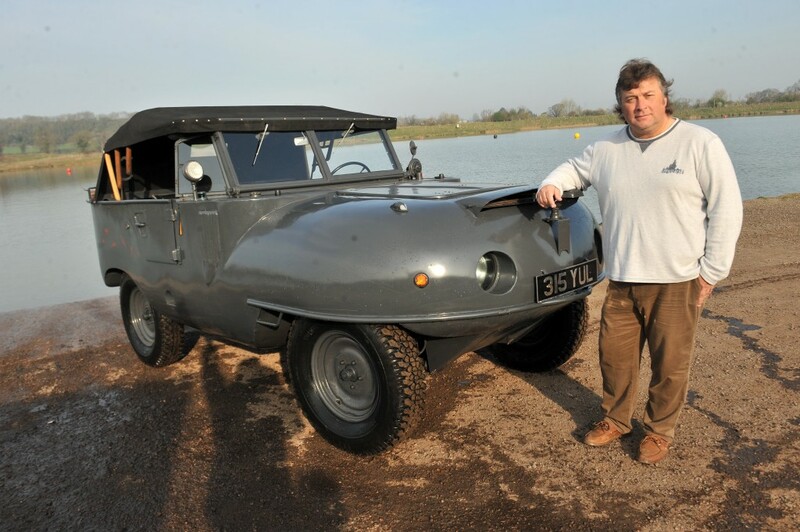 The world’s only surviving Schnellboot S130 was in a critical condition before Kevin got his eager hands on it. At a storey high and 115ft long, with a top speed of 40 knots and the ability to fire torpedoes, it was a monster of the seas. Few Allied servicemen saw one and lived to tell the tale. Once that makes itself at home, you can expect a few extra museum visitors arriving at nearby East Midlands Airport. It’s a shame there aren’t more here today – Kevin makes an excellent tour guide. If the museum could get him as a hologram, they’d be on to a winner. “I’ve had this interest pre five years old. Even at five, I can remember my parents saying what do you want for Christmas? And the answer was always “anything to do with World War Two”. Kevin’s mother, Lenchen, was from the picture postcard Harz mountains in Germany. His dad, Tom Wheatcroft, who bought Donington Park in 1971 for £100,000, was a tank driver. 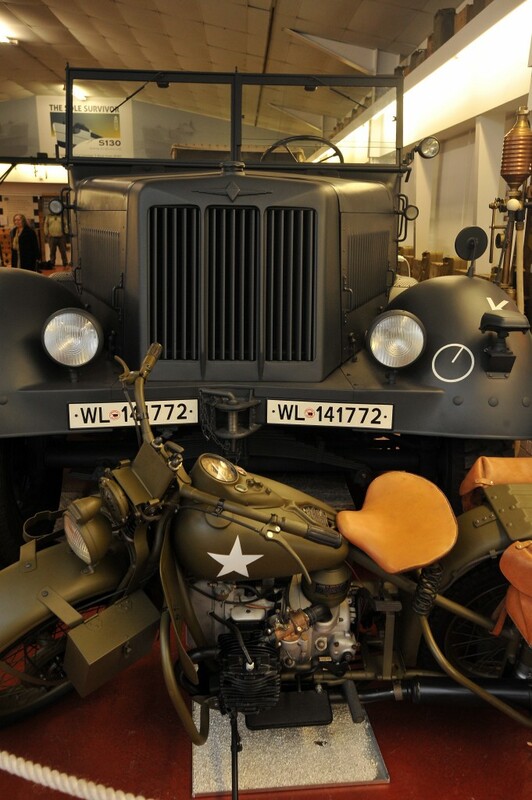 It’s telling of the quality of German wartime engineering that nearly all the models (cars and motorbikes) at the museum exist in some form or other today. In the foyer, there’s what looks like a Volkswagen Beetle. Not the sort you’d chummily flash your headlights at, mind. It’s a type 82e, Germany’s equivalent of the Jeep. 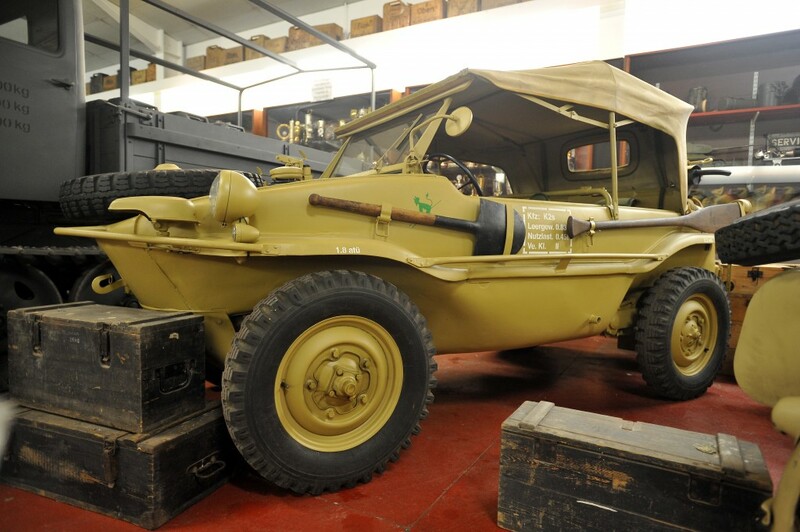 Donington, FYI, has the world’s most important military Volkswagen collection, including an amphibious model, a four wheel drive that could swim. This collection, however, is not just testament to Kevin’s inner anorak. It’s also down to the skill of three engineers based at a farm in Arnesby. Most exhibits, you discover, are barely recognisable before these three men get to work. One job in progress was brought into the workshop in two wheelbarrows and three carrier bags. Speaking of which, adds Kevin, nearly everything at Donington has been restored using county firms. Donington Park played its own wartime role as Europe’s largest military vehicle dump. The site has been paying the price ever since. Each of the collection’s 250 vehicles has a story to tell. 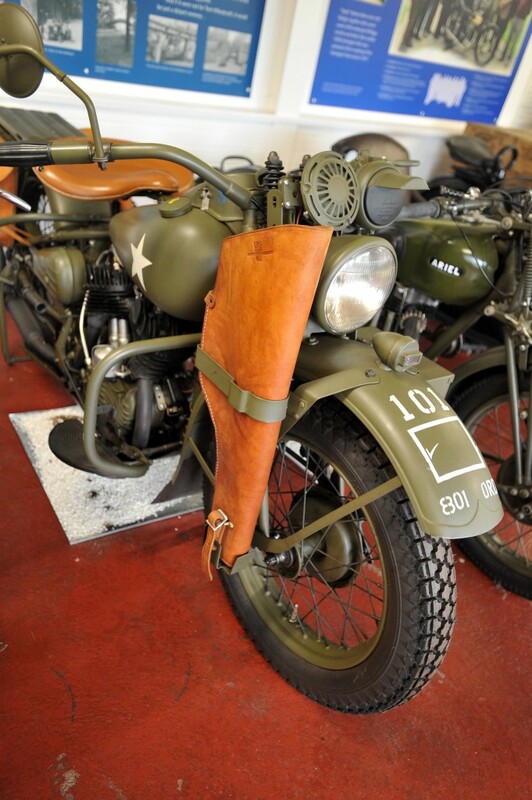 Take the Zundapp motorbike made in Denmark in 1937. Towards the end of the exhibition hall are two rusted vehicles. A Kettenkrad gun tractor and a motorbike. It’s what Kevin sees as a memorial to the 60 million people killed on both sides of the conflict. Kevin found both at a farm in Poland, where he’d gone to view a partially buried tank. The farmer invited Kevin to stay for dinner. It was during the meal that Kevin noticed the grassy mounds over by the orchard. And that was when he learned of the farm’s history. It was here the Russians overran the retreating German troops. It was, in effect, a turkey shoot for the Red Army. It took the farmer and his wife two weeks to bury the dead. With the farmer’s blessing, Kevin contacted the War Graves Commission. He was brought down by a Russian holding an 8.8cm rocket launcher. Article first published in 2012. Most pix and text courtesy of the Leicester Mercury.